2. 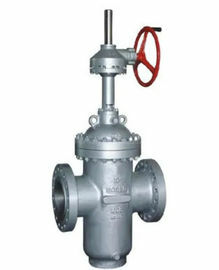 Of the metal to metal sealing, there is a grease injection structure outside the valve, grease injects the sealing part through the seat, in this way achieves the aim of zero leakage. 3. 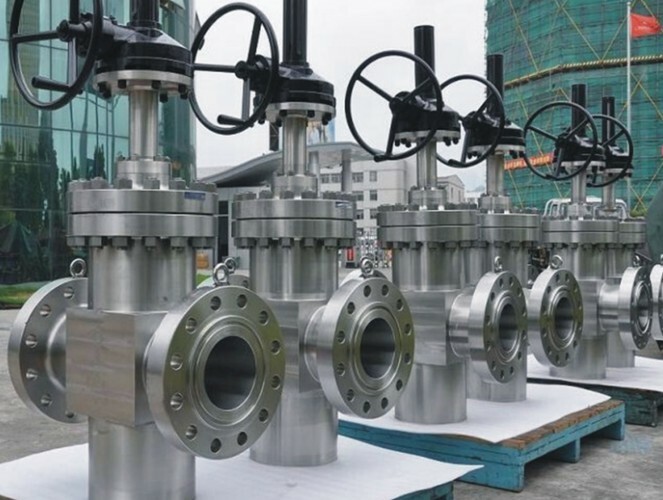 Through conduit gate valve always coincide with the sealing surface,whether the disc is full open-or fullclosd; sealing surface to be protected from scouring by media dilectly, thereby extending the service life. In fulltime, smooth channel for the direct and flow resistance coefficient is extremely small, no pressure loss, leading to Pig. The design of the body and bonnet is calculated to achieve the most regular distribution of stress in all directions, as well as the minimum turbulence and resistance to flow. Valve bonnets are equipped with a backseat bushing. The yoke is integrally cast on Pressure Classes 150 and 300 up to 12” and up to 10” on Class 600 and higher ratings. All gates are fully guided to the seats. As standard our valves are supplied with a solid flexible gate that has a tapered H cross-section. The flexible wedge is cast or machined with a circumferential groove to allow the seating surfaces to move independently and adjust to movement of the body seats. This design is beneficial where line loads or thermal expansion of the system is likely to distort the seat face in the valve. 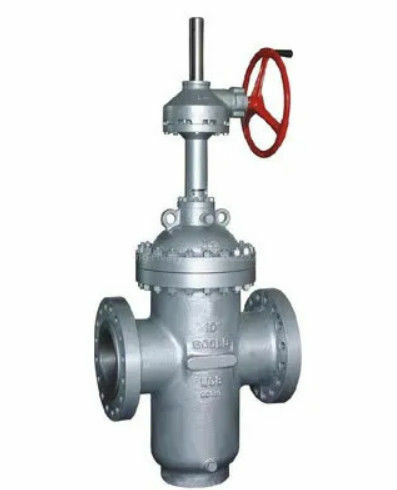 This design of gate is ideally suited for steam or other high temperature services and is especially useful to prevent sticking where valves are closed when hot and opened when cold. Seat rings are designed to greatly reduce and/or prevent any turbulence and avoid damages due to the corrosion. The seat rings are forged or rolled in one piece, and then seal welded and overlaid, if required. After welding and all required heat treating, the seat ring faces are machined, thoroughly cleaned and inspected before leaving for assembly. prevent the turning or the disengagement of stem from the wedge while the valve is in service. Through calculations and extreme testing, the strength of the stem-to-gate connection has proven to exceed the strength of the stem at the root of its operating thread. thus allowing for a greater reduction in fugitive emissions. Our packings are NONASBESTOS types. Kelite Valve can supply any style of packing required by our customer. The depth of the stuffing box allows for a sufficient amount of packing, which makes the stem seal. Our standard packing arrangement and stuffing box design meets <100 ppm fugitive emission requirements. If specified in the purchase order, lantern rings and/or grease injectors can be furnished. The stem nut arrangement and design allows for the removal of the handwheel without allowing the stem and gate to drop into the closed position if the handwheel is removed while the valve is in the open position. Ball bearings are provided in the stem nut arrangement of Class 150 valves from NPS 14”, on Class 300 valves from NPS 12:, on Class 600 valves from NPS 6”, and on Classes 900-1500 valves from NPS 2”. Handwheels are designed for easy operation and a comfortable grip. Our valves are also available with gearing, motor actuators or cylinder actuators for the more demanding services. Kelite Valve can supply any bolting as required by the customer.